Add the ability to Control the filter or search criteria in the bottom of the screen when using the quick add fields (name or number, google style). If this functionality is added, I would request that it be controlled by Preference. Personally, I'd rather not see the Quick Add get bogged down with non latest versions but respect that some may have a use case. To avoid the potential degradation of performace I would have Users copy and paste non latest versions from the Windchill Clipboard. I'd probably prefer to see Type Indicator added to aid selection instead. Saul - what's your use case? Do you run into it often? Although you posted more than a year ago, i just saw your post. 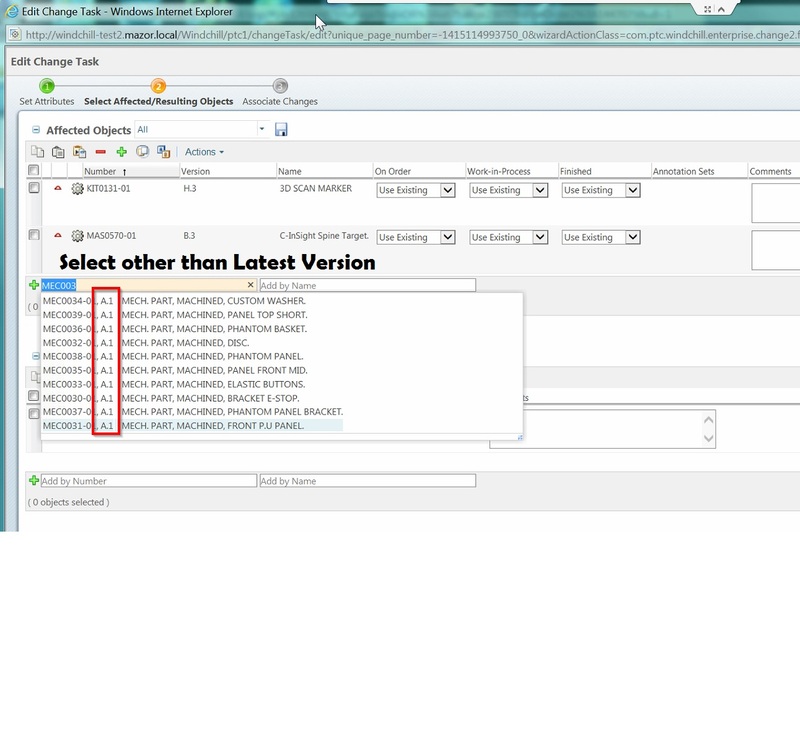 The use case is while creating a Change Notice, when filling the affected objects table, quite often, the parts are being already under development, when the actual ECN creation occurs, and naturally, the affected objects are already been superseded by their correspondent newer revision under development, which will be added to the resulting items table. For the guy that should go the long way through the green "+" icon, it is quite bothering, when it seems possible to get the quicker way.